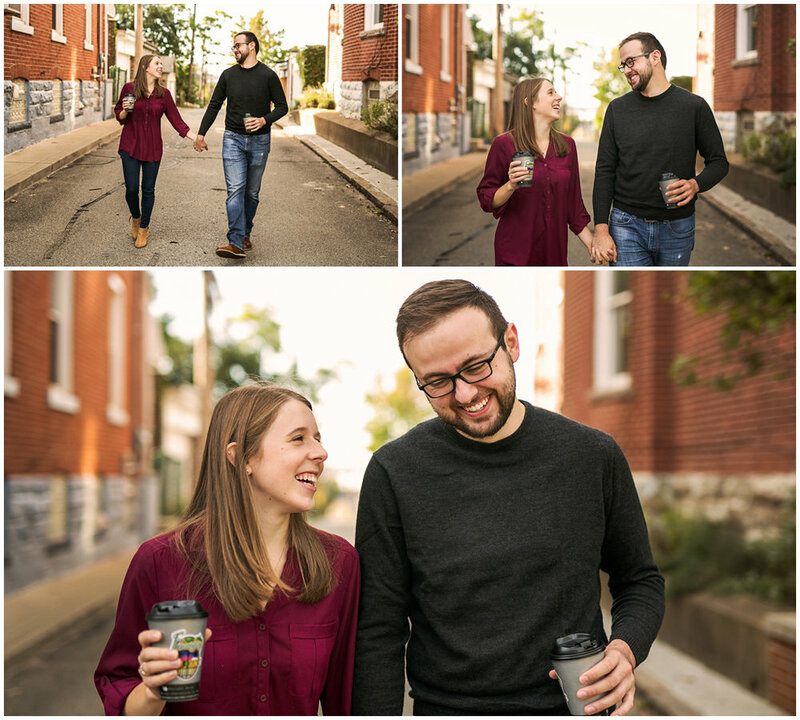 Sarah and Tommy joined me early on a chilly Fall morning at Friendship Perk & Brew for what would turn out to be the cutest stinkin' engagement session in the history of history. 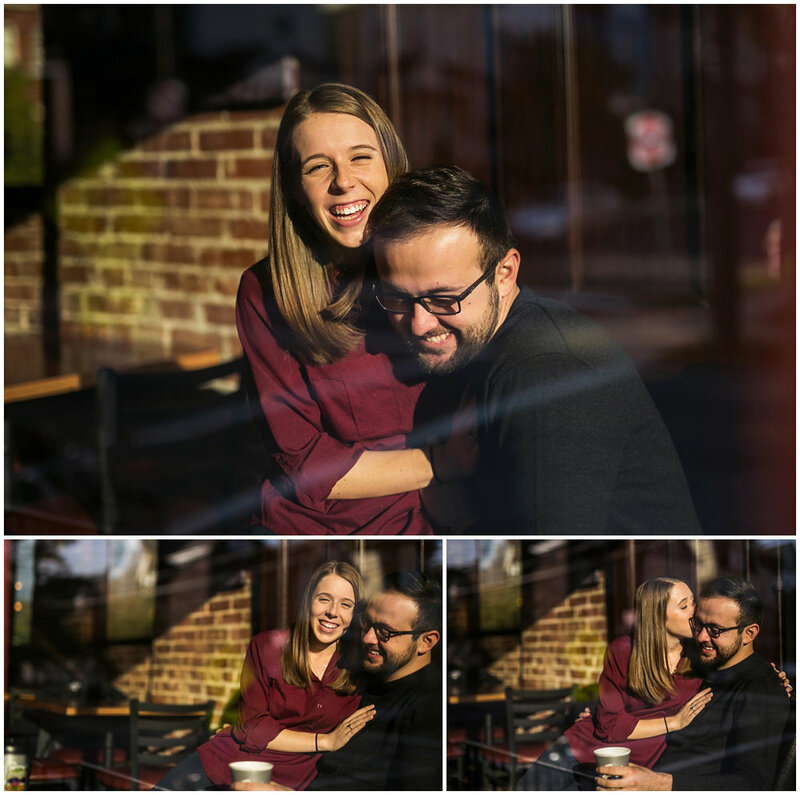 Before we could even THINK about beginning our session, we made sure to be sufficiently warmed by delicious coffee (and lots of belly-laughs) - which lasted throughout the entirety of the shoot. No lie, these two could not stop smiling... Okay, there WAS a brief quarrel involving tools vs. shoes, and a moment where Tommy was scared snot-less after a cat jumped out from behind a garbage bin, but I can swear that both instances were followed by loads of giggles. 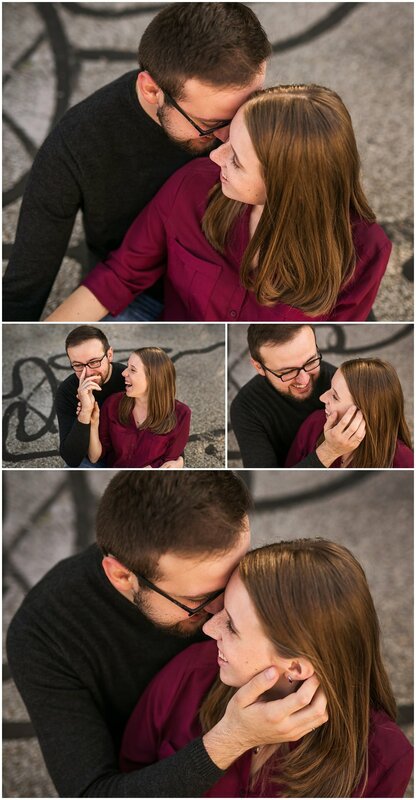 This lighthearted e-session left me feeling excited for Sarah and Tommy's wedding, and will definitely leave you feeling alllll warm and fuzzy.